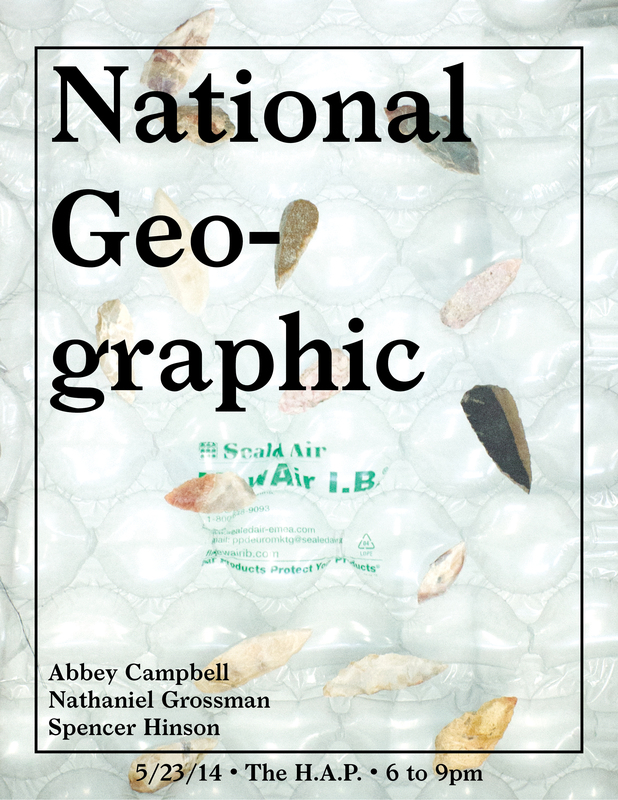 National Geographic is a group exhibition featuring the work of Abbey Campbell, Nathaniel Grossman, and Spencer Hinson, which takes as its point of departure issues of representation in political ecology. Here, artists and art objects serve as spokespersons for nonhuman entities, at once creating and bringing into focus discrepancies between our external reality and its varied representations. While rooted in the factual, the works place emphasis on their own aestheticization, understanding it as not extraneous but necessary for their involvement within social or political frameworks. *May 24th – June 6th is by appointment only. 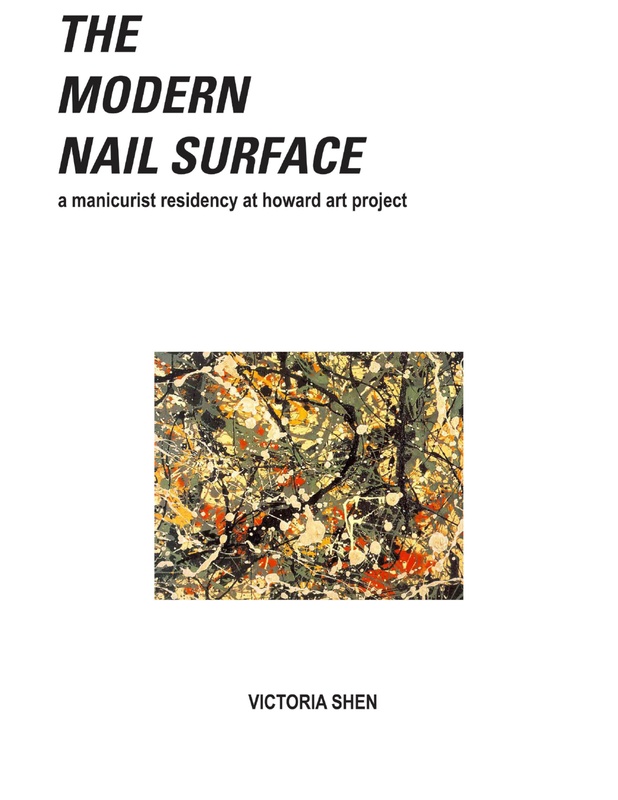 To arrange a visit, please contact: howardartproject@gmail.com. — from Wanderlust: a History of Walking by Rebecca Solnit. 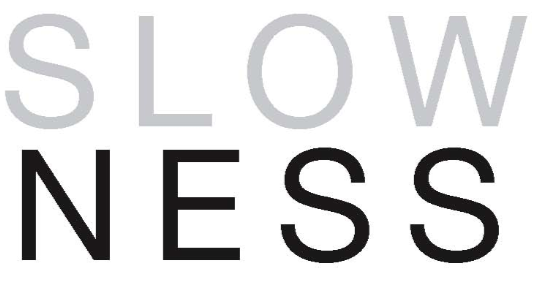 Slowness is a group exhibition featuring artists whose work reflects and investigates time and our expectations of it. In the current context, convenience of consumption is omnipresent. To those with sufficient means, most products and information is almost instantly available. Has the expectations of convenience that we have for products infiltrated our expectations for one another? Must we always be available too? Where is the space to reflect, to converse, to absorb, and to wander through spaces and ideas? Gallery Hours: Saturdays 12 to 6pm or by appointment. Former Lucky Strike Lanes, a few blocks away from the Howard Art Project, closed almost a decade ago and is now in a state of transition. 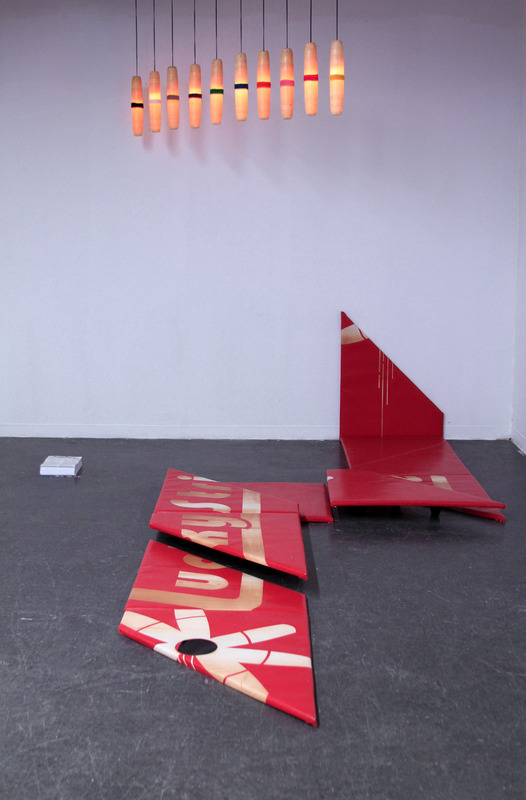 This solo exhibition features the MFA thesis project of Joe Joe Orangias. The project was initiated by his research at the Museum School and Tufts University on how architecture and design choreograph the body, and influence social experience. Focusing on the bowling alley as a distinct case of such structural influence, Orangias salvaged discarded materials from the former candlepin bowling alley. He has re-purposed these materials into a series of paintings or sculptures. In exploring the formal and environmental issues of this local infrastructure, he creates narratives and habitats that complicate understandings of art, intimacy, the body, and public space. The works depict a strong history, and simultaneously propose new futures. presence and when shut out, recalls absence. The show is free and open to the public. as it relates to childhood, religion, and the domestic space. is currently studying methods of desexualizing the female naked body in live performance art. performative “re-stagings” of past events. interventions small and large that demand presence from a viewer.